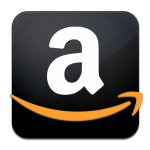 My Rating: 4 out of 5 stars. As a huge lover of the first book of this series, Sword of the North was a novel I had to get my hands on. The Grim Company had introduced me to a delicious grimdark world populated with so many fantastic characters and filled with loads and loads of gory action that I really needed another fix of Luke Scull’s addictive concoction. And he definitely delivered here. Grim Company ended with our band of heroes ripped apart after the tyrant Salazar’s defeat by the White Lady. Now, Brodar Kayne (Sword of the North) and his constant companion Jerek are returning to their cold, northern homeland on a desperate quest. Sasha and her lost sister find one another, but also find themselves drifting apart as they discover that the White Lady might be more charlatan than deliverer. The Half-Mage is his ornery self, making cutting observations on the human condition, and still determined to warn everyone that the Fade are on their way back to the world to destroy everyone – even if no one pays him any attention. And then there is Davarus Cole, our would-be hero, who succeeded in his lifelong quest but discovered several truths he would have rather not known, finding himself in desperate circumstances. From this beginning the plot begins to unfold like an origami masterpiece taking shape; each plot not appearing, but slowly evolving out of what has come before. Each character acting as his nature suggests he would, duly changed by the events in the preceding novel. Each person coming to life before a reader’s eyes, developing into an irreplaceable member of this cast. These people’s all-too-realistic flaws on display for everyone to see, and a few having those faults and mistakes come back to haunt them, destroying relationships that had – until the moment of revelation – seemed permanent and unassailable. Brodar Kayne’s quest and reliving of his past no more compelling or important to the overall story than the new cast members like Sir Meredith and his warped view of honor. Bitter and desperate, addicted and pathetic, every person has their role to play in this grimdark saga, even if it is no more than a reader taking great pleasure in seeing them get exactly what is coming to them. But never fear action lovers, Mr. Scull has not forgotten that this is a blood and guts fantasy tour de force. Fights, atrocities, drugs, monsters, magical battles, and gruesome deaths fill the pages. Horrible things happen to undeserving victims. Vile villains strut their evil stuff. Abuse and torture are casually inflicted on certain individuals. Blood and gore splash across the pages in places. Yet, in the midst of it all, a few souls rise above the muck to exhibit heroic qualities. Sword of the North is a grimdark in all its gloomy, realistic glory. Somehow though, Luke Scull is also able to impart a harsh humor to the tale, turning what could have been a depressing narrative into a light, fun read. The unexpected banter of comrades, the cynical observations of the Half-Mage, or the wry comments of a villain lightening the mood, winning a smile, or, occasionally, pulling out a laugh here and there. What I especially liked was the wonderful world that Luke Scull continues to unveil. This land without gods, slowly deteriorating under the rule of the remaining wizards, and filled with the memories of a world that was before the destruction of the divine is truly developing into a wonderful canvas upon which to paint brilliant tales of daring-do. It might not be Middle-Earth, but it definitely stacks up well with grimdark favorites such as The Broken Empire of Mark Lawrence or The First Law of Joe Abercrombie. Since I always say no book is without flaws, I suppose I have to point out negatives about Sword of the North, but it really is a hard thing to do, because, for what it is, this novel is nearly perfect. Yet I suppose I could see some readers being turned off by the decidedly horrible events and harsh language that occurs, for there are more than a few bad moments and a lot of cursing. None of this was especially egregious to me; each fitting into the ongoing narrative, not seeming placed there merely for shock value, but some might disagree with me about that. Honestly, this was one of the best sequels that I’ve come across. Luke Scull deftly moving his original plot forward while introducing new concepts, new characters, and new lore into the organically growing story. To say I’m eagerly awaiting the next installment of this series is not doing justice to my desperate need to get my hands on book three, because I have a feeling it is going to be one hell of a ride! I received this book from Roc in return for a honest review. The opinion you have read is mine alone and has not been influenced by anyone else. 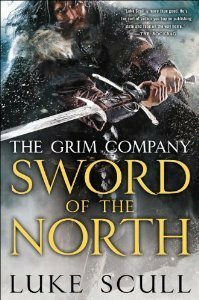 This entry was posted in 4 Stars, Fantasy, Grimdark and tagged best gridmarks 2015, best grimdark fantasy series, best new grimdark series, grimdark series you should read, Luke Scull, Sword of the North, The Grim Company. Bookmark the permalink. I really need to read this series!